Lenda is a mortgage lending startup that was founded in 2011 by Jason van den Brand and Elijah Murray as Gorefi. The company completed a Series A funding round in September 2017, raising $5.25 million total. 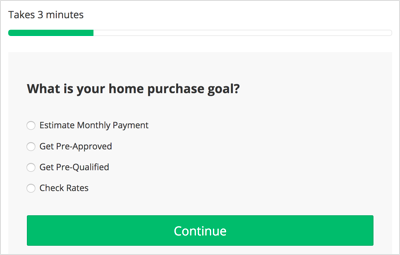 Headquartered in San Francisco, the company’s mission rests on the thought that “getting a home loan should be easy, transparent, fast, and free of commissions and fees.” Lenda uses online software to help homeowners buy a home entirely online. However, these mortgages are only available in 12 states. There are no physical branches to visit, meaning the lending process is done completely online. At this time, Lenda offers home buyers conventional fixed-rate loans in five time increments: 10, 15, 20, 25 and 30 years. Other than fixed-rate purchase loans and refinances, there are no other products offered. If you need a specialized government-backed loan (a USDA or VA loan), or an adjustable-rate mortgage, you won’t be able to use Lenda. Does Lenda Operate in My Area? Lenda operates in Arizona, California, Colorado, Illinois, Georgia, Florida, Michigan, Oregon, Pennsylvania, Texas, Virginia and Washington and plans to expand to more states as quickly as possible. What Kind of Mortgage Can I Get With Lenda? Fixed-rate mortgage: This is the most popular mortgage type in the U.S. A fixed-rate mortgage locks in your interest rate for the entire life of the loan, in Lenda’s case either for 30, 25, 20, 15 or 10 years. Your monthly principal and interest payment will stay the same the entire time you’re paying the loan. This can help with budgeting, as you’ll always know how much you need to pay each month. This is the only type of loan Lenda offers, either as a 10, 15, 20, 25 or 30-year note. Lenda only offers conventional loans, which means the home price cannot exceed the federal limit for your county to qualify. It also means that you must have good or better credit to qualify and at least a 3% down payment (you’ll need private mortgage insurance for anything below 20%, or an untraditional financing option such as a piggyback loan). Refinance: Lenda offers 15-year or 30-year fixed-rate refinance loans or cash-out refinancing. You’ll need a good or better credit score to qualify. What Can You Do Online With Lenda? The company claims to have “built technology to reimagine the experience of getting a home loan.” This means your online experience should be top-notch. And to that end, Lenda has built in some useful features. For example, you can pre-qualify and apply for pre-approval all from any device with internet access. You can read about the home purchase process with the company’s extensive guide or shop and compare rates. If you apply, you’ll have a personalized loan dashboard and access to a dedicated home loan advisor via email, chat, text or phone. 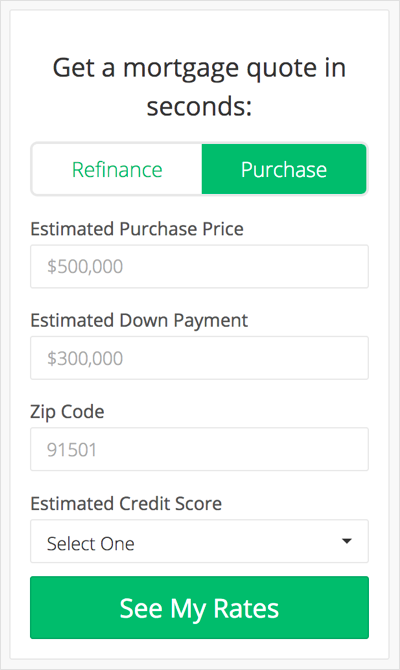 However, that said, when SmartAsset tested the site’s home loan calculator and rate comparison tool for both home purchases as well as refinance rates, the site repeatedly gave an error message (“Sorry, we ran into an issue with your quote!”) when the down payment was not 20% of the home loan. If you do put in a combination that works, you won’t be able to see your results without creating an account (inputting an email and password). Would You Qualify for a Mortgage From Lenda? You will likely need fair or better credit ( Lenda's minimum is a 620 FICO score) to qualify for a mortgage from Lenda. This is due to Lenda solely offering conventional home loans. These loans have higher standards because the government does not provide a guarantee for untraditional borrowers. This means you’ll need a decent down payment, as well. The rule of thumb is 20% of the purchase price. If you don’t have that amount, your subject to private mortgage insurance, known as PMI. Lenda mentions that it offers piggyback loans to help borrowers avoid PMI, but that’s often not a good idea for most situations. Piggyback loans are generally used by those who need to put money down (and don’t have down payment savings) and are multiple loans on top of your mortgage in order to make up the full purchase price. You still need decent credit and a good income to qualify for a piggyback loan, so it’s not always an option that’s available to all homebuyers. Another qualification factor is your debt-to-income ratio (or DTI). This is how much of your income goes to debt repayment each month. The number’s looked at to determine whether you can afford a monthly mortgage payment. Student loans, car payments, credit card debt and child support all fall all count toward your monthly liabilities. You can find your percentage by calculating your monthly debt payments and dividing by your gross (pre-tax) monthly income. Lenda recommends “keeping this number at 45% or less.” However, the company does state “we can go up to 50% if you have a stronger application.” A stronger application would likely mean an excellent credit score and a 20% down payment. 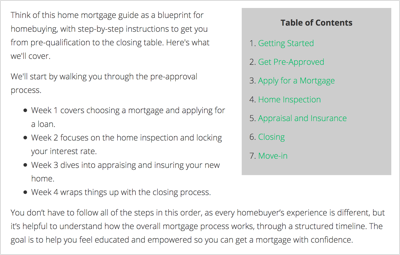 What’s the Process for Getting a Mortgage With Lenda? You can start with a number of different ways. Online, you can pre-qualify, skip straight to pre-approval or call the company directly to get started. If you’re house shopping or you’re about to put an offer on a house and you want to get pre-approved, you can sign up for an account online. You’ll need to fill out a home loan application and input information about your income and assets. Your Social Security number is required for a credit score check. If you’re pre-approved (generally one business day or less), you’ll receive a conditional offer for a specific loan amount. The next step, applying for the actual home loan, comes after your home purchase offer is accepted by the sellers. This time you’ll need a number of documents to substantiate your application, such as pay stubs, tax returns, bank statements and profit and loss statements (for self-employed applicants). You’ll hear an answer back from Lenda within one business day. If you’re approved, you’ll move forward with setting up a close date and finalizing all the details; however, your home purchase won’t be finalized until after a home inspection. To be completely fair, it’s early to compare Lenda to other mortgage providers. The company offers loans in just 12 states, offers no specialized loan options and can only lend you fixed-rate loans. You have to be a strong home purchase candidate to qualify for a Lenda loan. This means at least a 620 FICO credit score, decent down payment savings and not much debt. And, if you meet all the criteria, you’re only left with one option: a fixed-rate loan for 10 to 30 years (in five year increments). It’s not very competitive with any other online lender that offers government-backed loan options or adjustable-rate mortage terms. Rocket Mortgage is a good option for homebuyers who want to pre-qualify online. Its website is well-made and provides a good user experience, plus it offers much more choice in products. That means a flexible loan term with Rocket Mortgage’s YOURgage feature, or a VA or USDA loan. If you’re interested in bundling services, such as having your banking needs taken care of through the same company as your mortgage lender, Wells Fargo and U.S. Bank are full-service banks with established mortgage programs that offer online prequalification. You’re a good fit for Lenda if you’re buying in one the eleven licensed states, have strong credit and decent down payment savings, and desire a conventional fixed-rate loan through an online lender. However, you can find that with other online lenders, as well.